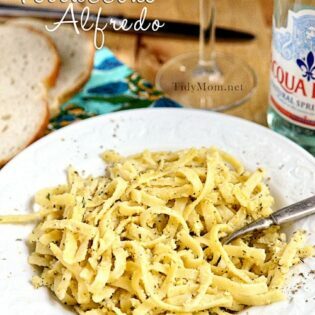 This rich and creamy Fettuccine Alfredo recipe is a classic crowd-pleaser. There are a few things I *always* have in my food arsenal; pasta, butter, cheese, cream and chocolate…….I left that last one out today – shocking, I know! Sometimes I just crave creamy, buttery, fatty goodness. 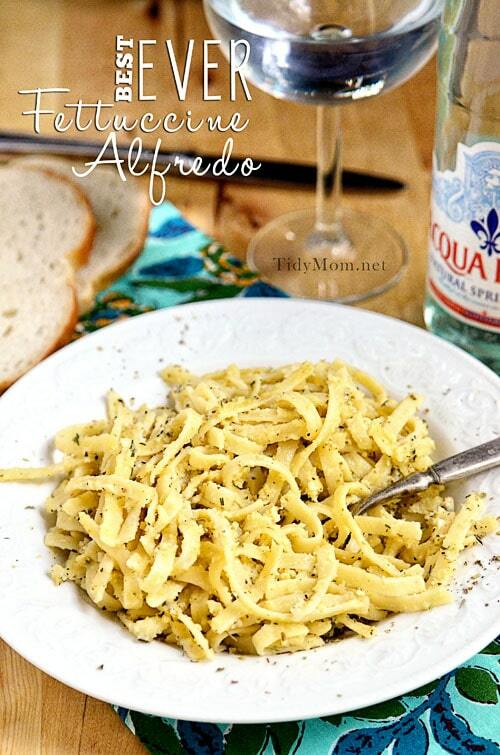 When that craving hits me, nothing satisfies like a big ‘ole plate full of Fettuccine Alfredo! It’s so simple to make, it’s almost scary – as in, it’s scary what my hips would look like if I made it all the time! Several weeks ago Allison’s best friend made a big batch of Fettuccine Alfredo at our house and holy cow! I think it was the best I’ve ever had! If you’d like to add a protein to your meal toss in some seasoned grilled chicken, bacon or shrimp for delicious alternative! 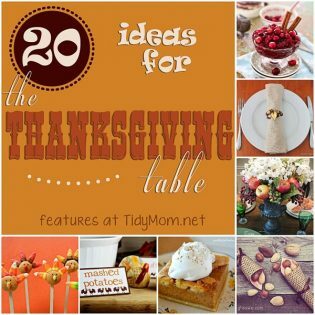 You want this recipe in your arsenal – it’s great for crowds or can be thrown together quickly on any given night for dinner, and it’s a dish everyone in the house likes! Bring a large pot of lightly salted water to a boil. Add fettuccini and cook for 8 to 10 minutes or until al dente; drain and add butter to noodles. In a large pot over medium, heat cream (don't boil). Remove from heat, add eggs. Add pasta to egg mixture and warm on stove top. Add cheese, parsley, garlic salt and pepper. Cook on low heat until thickened. Add a little cream or pasta water if it gets too dry. I’m sure this is a super silly question but do you use dried parsley or fresh parsley? I’ve seen other recipes that use fresh parsley but from what I can see in your picture it looks like dried so I wasn’t sure. Thanks!